Q: Karina, last autumn you initiated the "Laboratory for Art and Research" in Cologne. Exhibitions, teaching and research coincide in collaborative projects there. What is the idea and how is this linked to your own artistic practice? 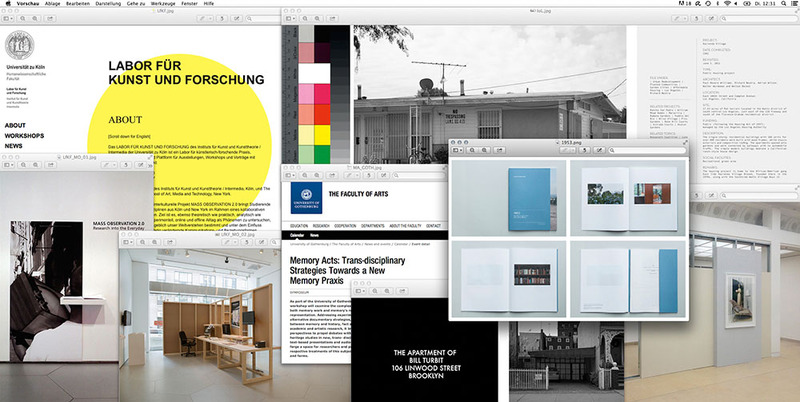 A: The "Laboratory for Art and Research" is a project space for students which is connected to the Institute for Art and Art Theory at the Faculty of Human Sciences at the University of Cologne, and additionally set up in a crossfaculty way. The impetus for this project came from my own artistic practice, the realization of artistic work and my interest in artistic research. Hence, my interdisciplinary background in both Visual Arts and Art History made me developing a research practice that at the same time is rooted in the theoretical implications of art. Art practice shares certain critical issues with other theoretical disciplines and leads to interdisciplinary discourses concerning relevant social and political issues. This, in turn, influences the programme of the space now. Karina Nimmerfall is a visual artist and since 2014 Professor in the Department of Artistic Media Practice and Theory at the University of Cologne. Since 2015 she runs the "Laboratory for Art and Research".